Training coffee business entrepreneurs who want to start a gourmet coffee shop, the American Barista & Coffee School covers all aspects of the retail coffee industry. Educational workshops include hands-on barista training, and there are lectures, demonstrations, and guest speakers. A new affiliate was recently opened in Beijing, China. The American Barista & Coffee School trains participants on ten different types of espresso machines (espresso coffee makers) and eight different brewing systems. Training is done in a 2,100-square-foot training facility. The website is produced by the Bellissimo Coffee InfoGroup. This is a daily coffee newsletter for people involved in coffee futures trading. This online source includes stock quotes, technical studies, market news and commentary, press releases, settlement prices, historical commentary, and a coffee directory. 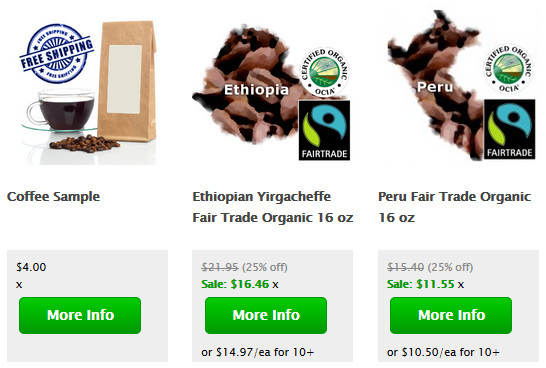 This website is geared to consumers who are gourmet coffee lovers. Loaded with great information, the Coffee Companion site also features the wit and expertise of renown coffee writer Keven Sinnott. This website is popular among coffee sellers, coffee buyers, home roasters, and also buyers of green coffee beans (which are milled but not yet roasted). The Coffee Cuppers website offers a plethora of information about coffee processing and coffee roasting as well as independent coffee reviews. An outstanding array of coffee reviews, forums, opinions, and consumer information about coffee equipment are all brought together on the Coffee Geek website – even podcasts! The people who run this website are obviously gourmet coffee lovers! Respected reviewers like Kenneth Davids (the author of three coffee books) opine their wisdom on this well-designed website that entertains as well as educates. Coffee Review takes pride in pioneering the 100-point coffee review system, provides coffee-related blogs, and they welcome public comments. Billing their online magazine as “the most influential coffee trade journal in the industry,” Coffee Talk provides an extremely high quality publication that matches their claim. The website also includes back issues, and lots of links to everything from health projects in coffee-growing countries to articles about politics and feature stories. This informational site includes lots of great information about coffee including a database of coffee industry suppliers, coffee-related products services, retailers, and more. The Retailer’s Expo allows companies to highlight their products on the site, and the Barista World section includes information about upcoming coffee cupping competitions and tips on developing barista and business skills. The Coffee Universe site is produced by the Bellissimo Coffee InfoGroup. Concerned primarily with helping coffee farmers earn higher profits, Cup of Excellence sponsors coffee competitions to determine top coffees from particular countries. Then they bestow upon the winning coffee producers the prestigious Cup of Excellence® award. The winning coffees in the Cup of Excellence competitions are sold to the highest bidder in an internet auction. 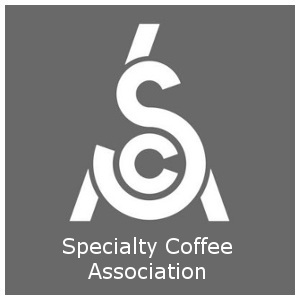 These competitions are managed by the non-profit Alliance for Coffee Excellence (ACE). This website is the online edition of Freshcup’s well-produced magazine. Visitors to the site can explore a variety of information about gourmet coffee and tea, and also read about new trends and ideas in the coffee industry. They don’t just review coffee and don’t just sell coffee, they also provide factual, well-researched information about the world’s best coffees and have a thriving coffee community. Various helpful tips and an abundance of coffee-related information are found perusing the web pages of Home-Barista.com. Coffee brewing equipment is reviewed, including espresso machines, and there are forums, independent coffee reviews, tips and techniques, and great coffee purchasing advice. Dedicated to the home coffee roaster, Homeroaster features articles about coffee roasting for home roasters with a goal of helping them acquire and roast high quality coffee beans, and also brew the fresh-roasted beans into a fine cup of coffee. The Homeroaster also includes articles about homebuilt coffee roasters and also has pictorial instructions. Small coffee roasters and home roasters of gourmet coffee will love this compendium of information geared toward small-scale roasters. The homeroasters.org website provides discussion about coffee and roasting issues and includes articles, internet posts, and forums to further the organization’s goal of providing a non-commercial resource to inspire and encourage home coffee roasters. This non-profit organization runs two historical sites in the Kona region and maintains a wonderful research archive to further their goal of collecting, preserving, and sharing Kona’s rich history including the traditions of the Kona coffee farmers. The Kona Historical Society also sponsors lectures about local history, historic preservation, off-road historical tours, and living history programs. This well-produced online magazine includes a comprehensive international coffee company directory called Cafe Forum (Café Forum) including manufacturers, exporters, importers, growers, processors, coffee roasters, green coffee beans sources, brokers, market analysis, manufacturers, products/services, and even coffeehouses/espresso bars. Other notable features of the Lucidcafe magazine are Kenneth Davids’ overview of coffee culture entitled About Coffee, and also the Professional Espresso feature that is hosted by renowned espresso pro David Schomer. Another nice feature is cartoonists Brian Williamson’s coffee humor cartoon called The BUZZ Shot. Serving as a technical trade magazine for roasters of premium gourmet coffee, Roast magazine is published bi-monthly and includes information about the art of coffee roasting as well as the science and business aspects of roasting. Editorial content is also provided. Cutting edge international coffee news, editorials, and up-to date reports on new technologies are just some of the things you can find in the Tea & Coffee Trade Journal which was founded in 1901. The archived past issues are easy to access and browse, and include many great articles about coffee. Billed as the web’s hottest coffee Zine, Virtual Coffee is geared to coffee consumers, featuring a variety of articles about gourmet coffee, new trends and products, coffee industry events, and columns written by experts in the field. The magazine also includes the Ten Essentials in Starting Successfully Operating a Specialty Coffee Business. Virtual Coffee is produced by the Bellissimo Coffee InfoGroup, which runs the American Barista & Coffee School. Always a useful resource, Wikipedia provides a great discussion of coffee as well as providing links to more detailed information about a variety of coffee-related topics from instant coffee and decaffeinated coffee to coffee roasting and gourmet coffee drinks. I must say, I enjoyed all those websites listed above. Coffee Geek has always been one of my favorites though. Thanks for sharing! Hi, We are a Kopi Luwak Trading Company in Singapore. Is there anyway for us to list our company to get some link to our website?